January is a bit quiet for blooms in my garden. Mostly, I was irritated to find so much slug damage already and aphids on my euphorbia. Drat. However, I do a few things to share, granted, they are not looking so fabulous due to..what else? SLUGS! Seems like it was March's GBBD last year where my Hellebores were in full glory, however, this one is beginning to open. I fell in love with the touch of purple color on the tips. 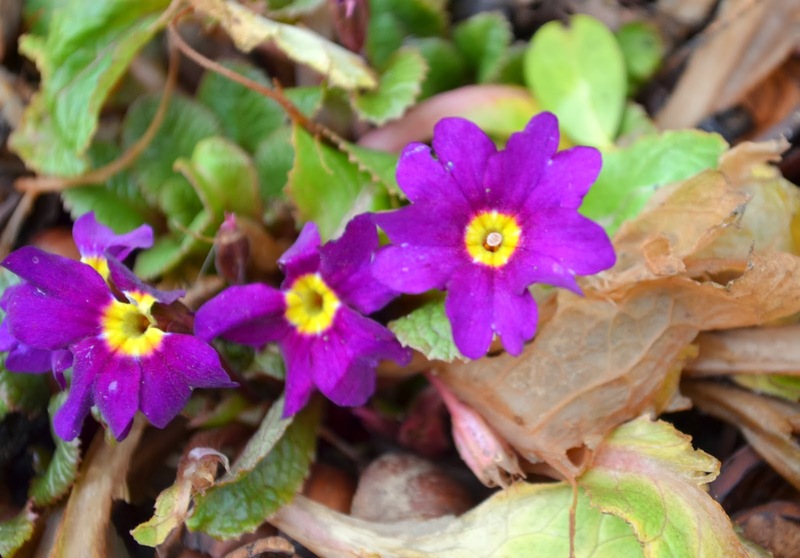 Primula is beginning to bloom. Last years leaves have turned to brown mush after the hard freeze in December. 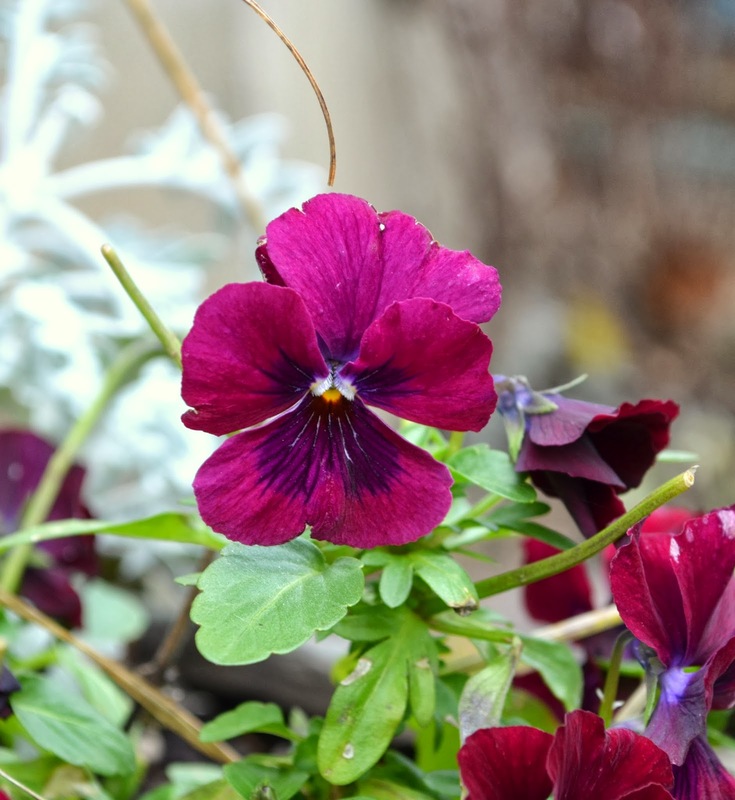 And lastly, my violas are still pumping out some little bits of color. I enjoyed my first bloom of the season earlier this week and captured some pretty shots of my heather. I managed to enjoy a slice of sunshine for a brief moment this week. 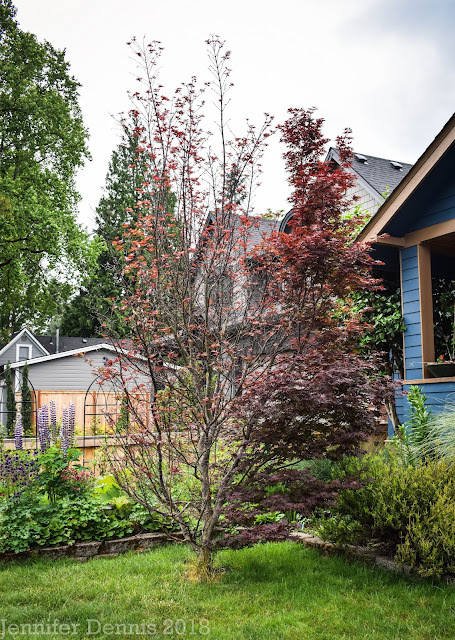 Be sure to swing by May Dreams Garden for a look at what is blooming in January around the world. Nice blooms...and yes...the slugs are already at it...I picked some off my Gillenia this morning...little bastards! Don't you love seeing the Hellebores starting to bloom? Some of mine are just barely opening. I saw slug damage today too on the poor little Snowdrops. I wish they would've all frozen and gone away when we had that freeze a few weeks ago. Oh, how I hate slugs! And aphids, already? Yuck. Your blooms are beautiful and I'm looking forward to seeing your garden erupt into bloom this season. Happy GBBD! Hi Jennifer, Your January blooms are delightful. In January we take what we can get, right? Now hurry up spring. Hope you can get rid of the aphids and slugs. Your Hellebore bloom is gorgeous! Last weekend I bought a small Hellebore plant, which has some buds on it. Can hardly wait to see them. That hellebore is so beautiful. Goddamn those slugs for trying to eat it! Thanks for the reminder that I need to monitoring that in my garden. Slugs are a nuisance, here too, especially on such a rainy days as we had today. But.....your Hellebore Spring Promise 'Valerie' is a beauty! I never think of baiting for slugs (yes I do indulge in that one inorganic practice) this early. Thanks for the tip. The beauty of your blooms shines through the nibbles. What a shame the slugs and aphids have already started their work. Industrious little creatures! Loved that Viola. I just can't do without them. Your Hellebore is lovely with those purple tips. Gorgeous little Primulas too. Hellebore and snowdrop time. Yippee! I get so excited when they start to come out. I don't know Valerie but you are right she has nice purple edges to her flowers. Slugs seem to be taking over the world! The sure do cause havvoc. Nice blooms though. I'm late getting around to reading the GBBD posts, but still want to wish you Happy Gardening! 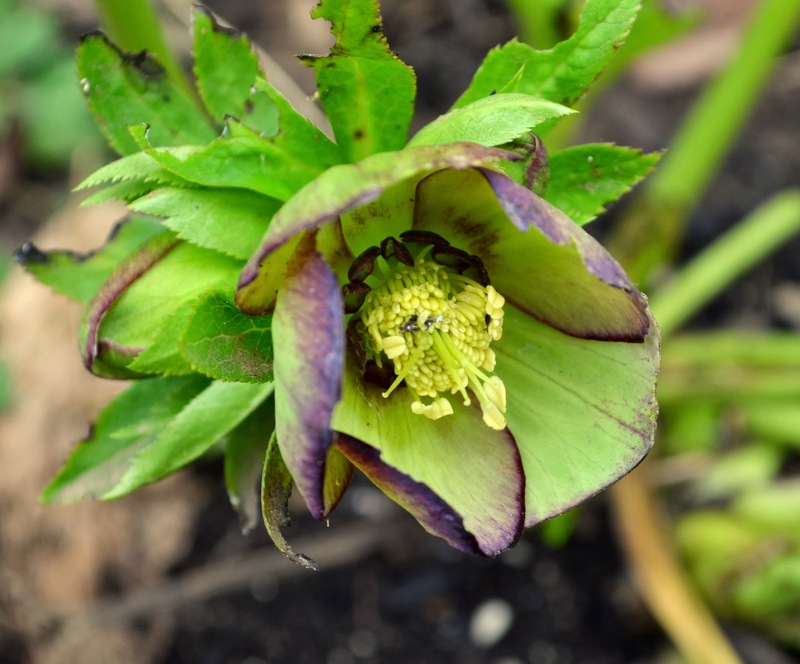 My Hellebores are just barely beginning to bud, as we have had a cold winter here. Your Viola is such a beautiful color! All my favorite blooms. How big are your slugs? Did you see the size of the ones in Europe? In Denmark, the slugs in my friend's garden were at least 4 inches. YUCK! Nothing you want to step on. Enjoyed the blooms.